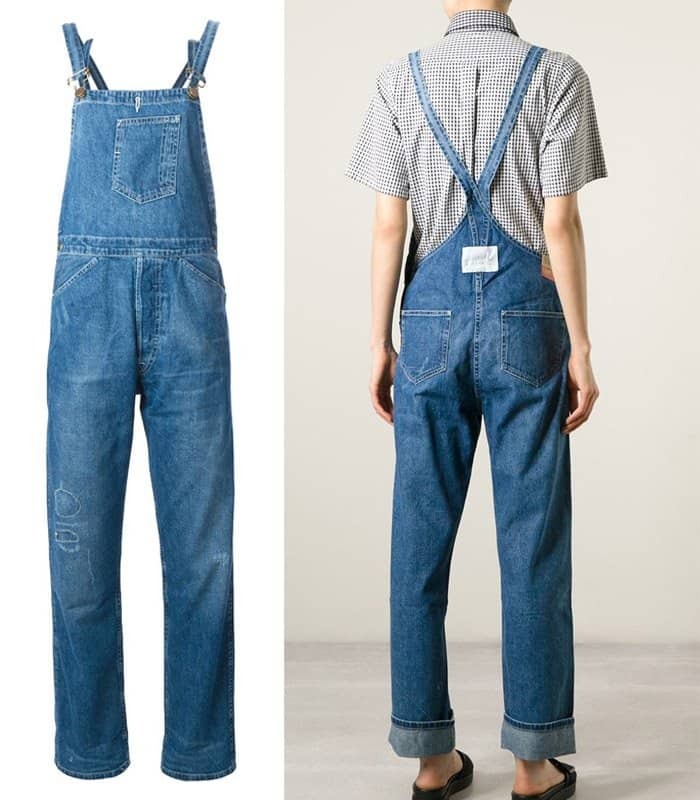 Overalls have been around for many seasons now, with celebrities and stylish regular people breaking them out during spring and summer. 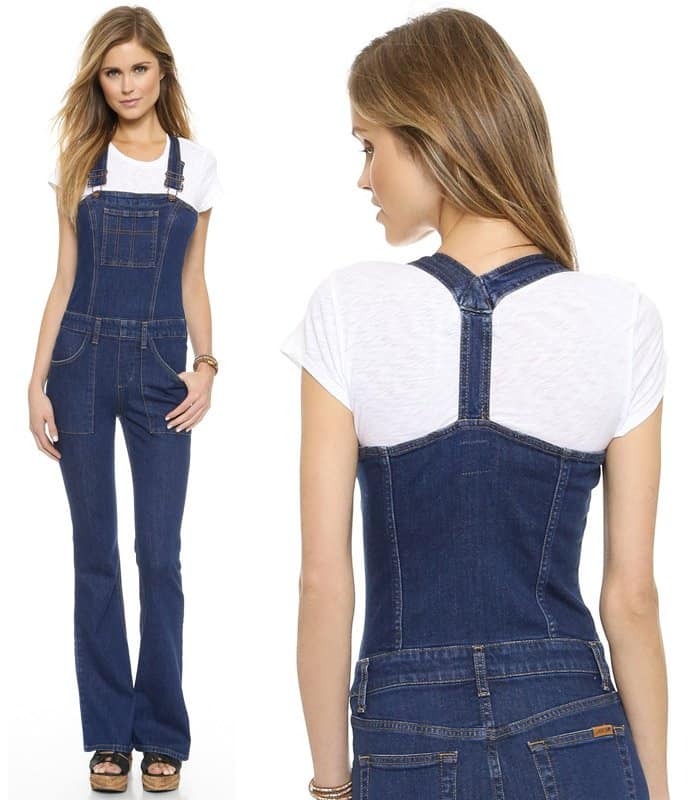 But here’s something new to add to your burgeoning wardrobe: the flare overalls. 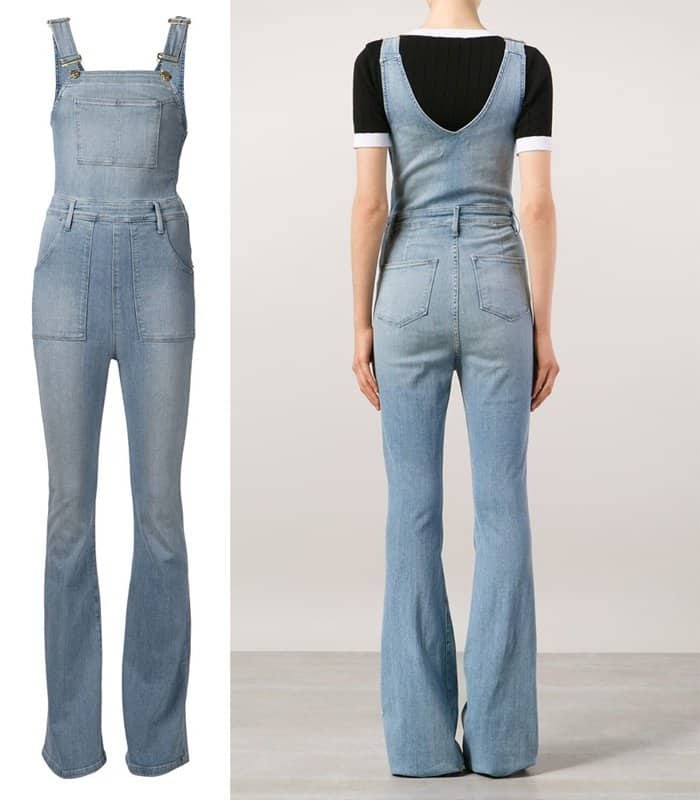 Yes, they are your favorite denim dungarees but with a touch of ’70s coolness. It’s gradually becoming the “it” clothing of the season. See how these 6 celebrities styled flare denim overalls and get some inspiration for future outfits! Just recently, the 32-year-old actress showed off her trim figure in a pair of Frame Denim “Le High Flare” overalls in Eton Avenue (available at Revolve) that she wore over a white sleeveless top and accessorized with a pair of Matisse x Kate Bosworth “Kelly” sandals, a pair of Zanzan “Avida Dollars” sunglasses in Tokyo Tortoiseshell and a Loewe “Amazona 75” woven suede satchel. 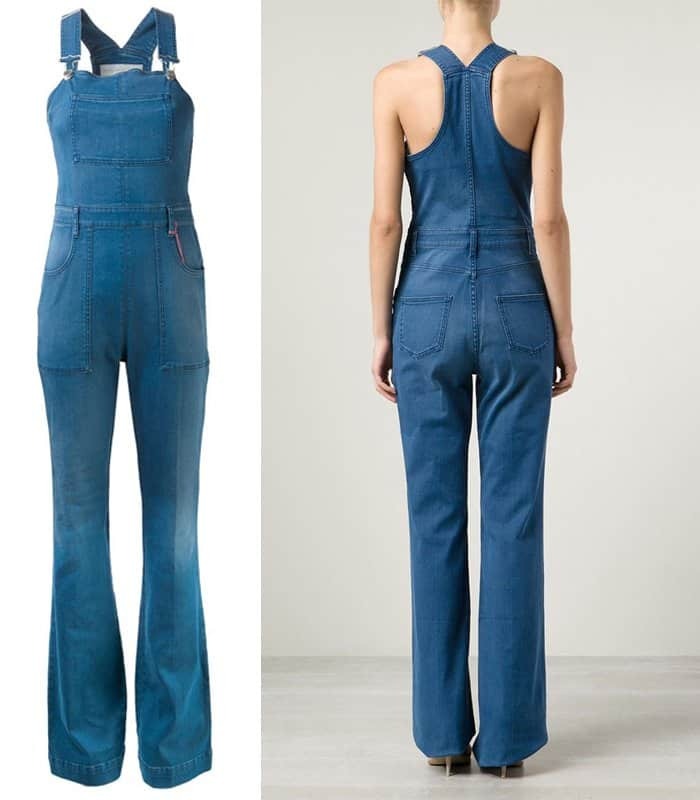 The socialite also wore the same overalls – the Frame Denim “Le High Flare ” – but she put her own spin on them. She layered them over a sheer black top and accessorized with a pair of sneakers and a black handbag. 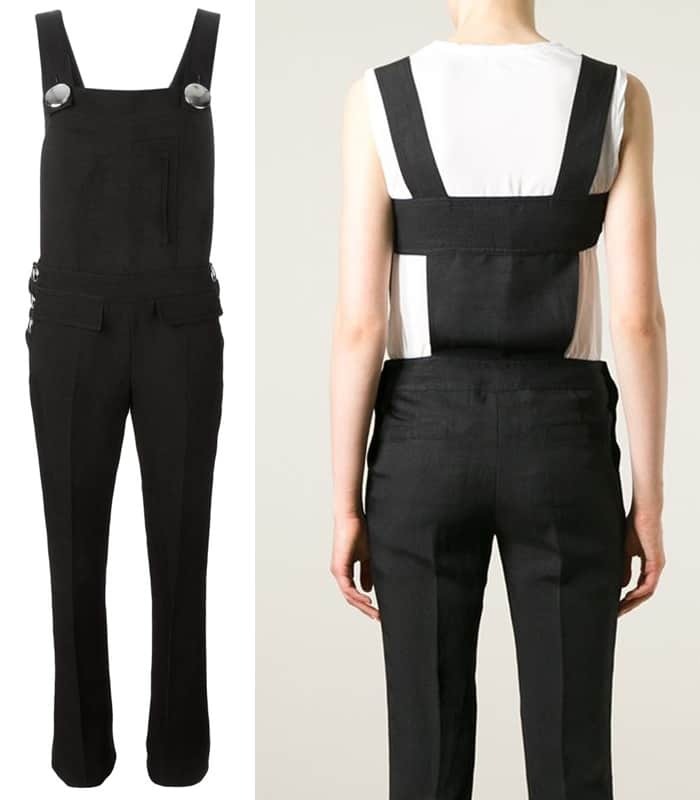 The ‘Fifty Shades of Grey‘ actress turned up in a pair of Stella McCartney stretch denim overalls (available at Net-A-Porter) a few months ago. She kept warm by teaming them up with her Vince Camuto “Karita” over the knee boots (available at Nordstrom) and a Saint Laurent studded leather moto jacket. We also can’t fault her accessory game. Her Dior “Mise En Dior” tribal earrings, Alexander McQueen “Legend” bag (available at Neiman Marcus) and Thierry Lasry “Peroxxy” sunglasses (available at Barneys New York) capped off her look. The ‘Hart of Dixie‘ actress brazened it out and wore her overalls without a shirt underneath. Her accessories were understated too! The actress prepared for travel in her flare overalls, which she wore over a collarless button down shirt and layered with a cardigan. She toted her Louis Vuitton “Soft Lockit” bag as an accessory. ELLE’s Accessories Director looked charming in her overalls that she wore over a black tank top and accessorized with a fringed clutch and a pair of sandals.